Now that I’ve given up my lease, announced my going-away party, and told my graduate program that I won’t be returning for my adjunct year…it’s probably worth mentioning to everyone else that I’m about to leave Baltimore. When I got into Hopkins, I was, honestly, just really happy that I wasn’t going to have to go to school in some podunk Midwestern town. Now, I know that some people love towns like that. But…I am not one of them. I prefer milder winters and populations over 400,000. All I’m saying is that anything seems like a metropolis when you’re comparing it to West Lafayette, Indiana. But Baltimore is actually a great city for an artist. Rents are fairly cheap (certainly cheaper than all the other places where I’ve lived: Oakland, San Francisco, and Washington, DC), and there are all kinds of fun things going on. The Baltimore Science Fiction Society is a very vibrant, active community. There are plenty of writers in the area. 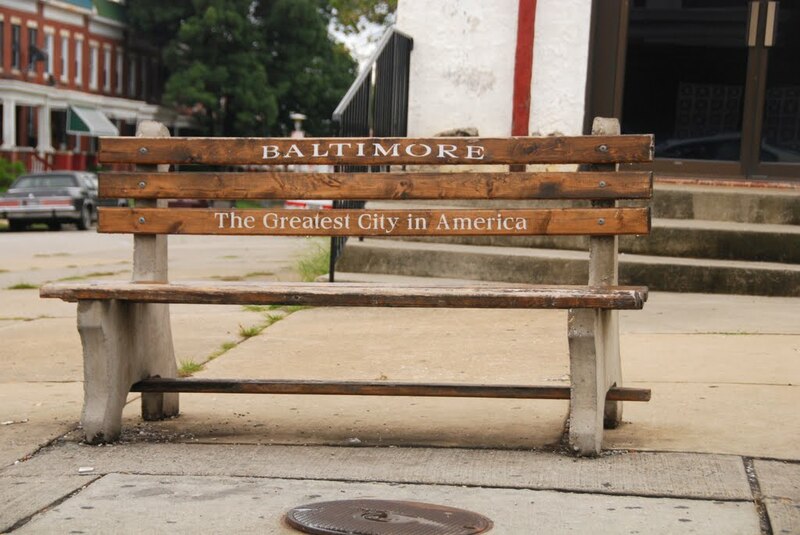 There are readings and gay clubs and interesting neighborhoods and pretty much everything you could want in a city, but, because Baltimore has kind of an inferiority complex, everything is also scrappy and fun and exudes a sort of togetherness. On a personal and professional level, Baltimore also works out pretty well for me. Although my parents don’t spend as much time in DC as they used to, it’s still home base for them. I grew up in that city and still have plenty of friends in the area. And, with the kind of work that I often do in the international development world, it’s really convenient to live somewhere that allows me to travel to DC once in awhile. I highly recommend Baltimore to anyone who is looking for a hip and centrally-located place on the Eastern Seaboard. There are a lot of reasons for that. Part of it is just that my heart is in California. And while I’m not sure that I want to go back there right this second, I think that if I was actually going to choose to set down roots somewhere, it’d have to be out there. But part of it is also just that…well…I have a wandering heart. Since graduating, I’ve moved cities roughly every two years. There’s something about the two year mark that just makes me wonder what else is out there in the world and who else I can be. Ever since I first drove across the country, when I was moving back to DC after graduating from college, I’ve looked around at our nation and felt a deep connection to all the disparate parts of it. To me, it’s so fantastic and powerful that all of these places–all of these names on the map–are somehow part of me. So…I’m moving to New Orleans. I can’t say that a ton of thought went into the choice of location. I visited New Orleans about five years ago and liked it alot, but I was also drunk the entire time, so I can’t say that I was at my sharpest. Basically, I just wanted to go someplace where I didn’t know anyone. All my life, I’ve basically bounced between DC and SF, and, by now, I have fairly strong social networks in both places. And that’s awesome…but I also wanted to put myself into a situation where I was alone and needed to meet new people. Maybe that’s silly, but there it is. And it had to be someplace where I didn’t know many people. In the end, it came down to Austin and New Orleans, and I went with the latter. As for money, well, I’ve been taking in independent consulting and technical writing assignments for several years now, on an ad hoc basis (mostly from clients within the World Bank), and my plan is to expand that practice into an actual business. Yes, god help me, I am going freelance. I think you’ll find a very interesting community in New Orleans. Freelance + sell novels on novels on novels, of course.